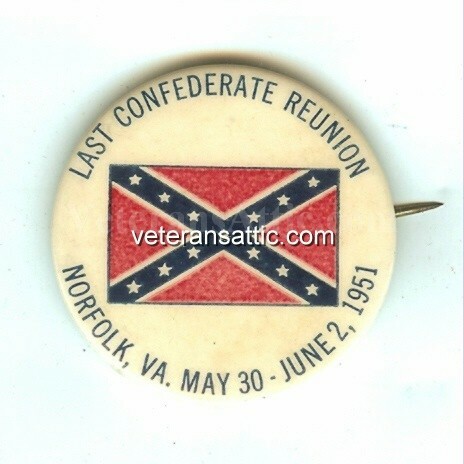 The last United Confederate reunion was held in Norfolk, Virginia in 1951. This is one of the last Confederate reunion badges! 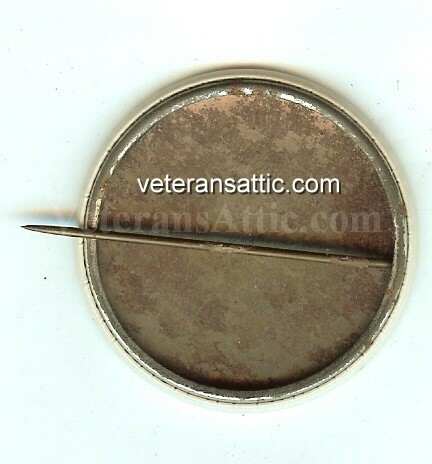 The badge is in a pinback style and approximately 1 3/4 inches wide. A Confederate battle flag is in the middle of the badge. Written around the battle flag is "Last Confederate Reunion - Norfolk, VA. May 30 - June 2, 1951". Don't miss this opportunity to own one of the final reunion badges!